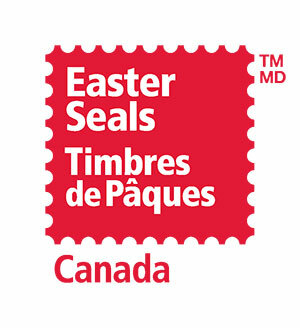 Easter Seals Canada is a national charity with close to 100 years of history and community service in Canada. Since its founding in 1922, Easter Seals Canada and its provincial member organizations, staff and volunteers—from coast to coast—have work tirelessly to create a more accessible society that is inclusive of Canadians of all abilities. Collectively, Easter Seals is the largest local provider of programs and services in support of children, youth and adults who are living with diverse abilities and is a national leader on accessibility and inclusivity issues. More than 150,000 people access and take part in Easter Seals programs and services across the country each year. Easter Seals programs and services are geared towards enhancing the independence, quality of life, and well-being of people living with disabilities. Programs are delivered by Easter Seals provincial member organizations and vary from province to province but, in general, they include: accessible summer camps; financial support for mobility equipment and assistive devices and technology; academic scholarships and bursaries; adaptive sports, recreation and leisure activities; pre-employment and employment education and readiness programs; and much more! A highlight of Easter Seals' many programs is its award-winning Access 2 Card program in which Easter Seals partners with entertainment, cultural and recreational venues across Canada to make access more affordable for individuals who are living with permanent disability. By signing up for an Access 2 Card, an individual who is living with a permanent disability can gain one free entry for their support person if the individual purchases a regularly priced ticket to the venue for themselves. There are currently over 50,000 Canadians who are utilizing the Access 2 Card to enable them to lead more independent and active lives. Andrew Nielsen is one of many people across Canada who has benefited from Easter Seals' programs and services in his youth and who now gives back to the organization by participating in The Drop Zone, a signature fundraising event that raises donations for Easter Seals. The event takes place in August and September each year in multiple cities across Canada. "I am a bit of a daredevil," reads the voice on 46-year-old Andrew's output device. Living with cerebral palsy, Andrew is non-verbal and communicates with his voice output device and word board. But make no mistake: Andrew has a lot to say. He is currently in the process of writing a book about his life. Andrew's ability to push boundaries beyond conventional limitations extends to his physical abilities as well. 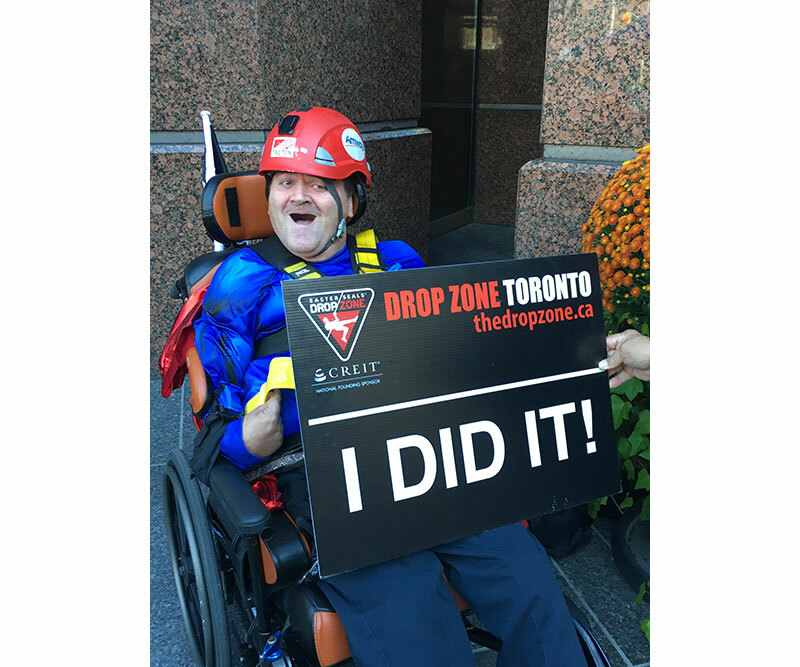 Though he uses a wheelchair, Andrew has been participating in the Easter Seals Drop Zone each year for several years now. In fact, he has already completed two drops this year and working on third. 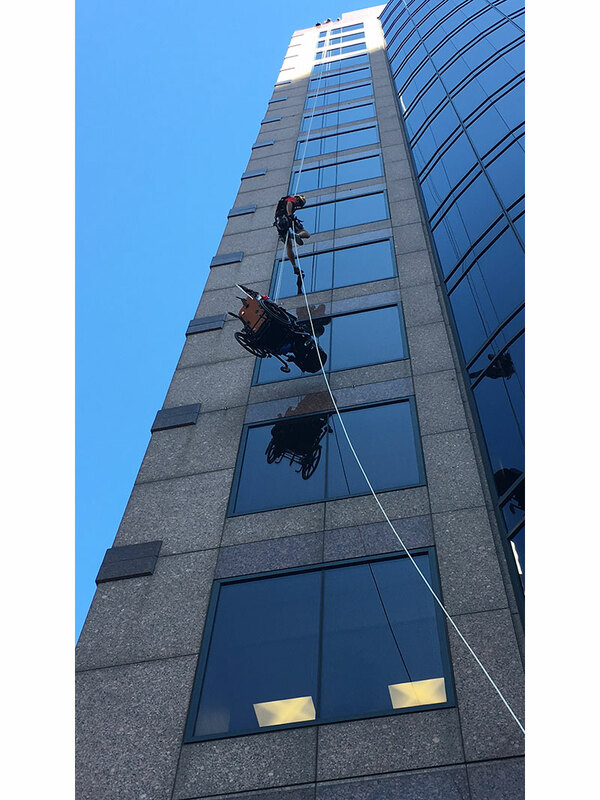 In preparation for the big day, Andrew worked with his occupational therapist and seating clinic to ensure that his rappel in the wheelchair will be safe and comfortable. He had also enlisted the support of his friends and family such as his father, who accompanies him to the training session. Another one of his biggest supporters is his friend Todd Stephens, a counselor that he met at Easter Seals' former Lakewood Camp in 1987. Andrew attended Lakewood Camp until the age of 19, while Todd was a counselor at the camp for five years. "I loved camp and was always excited to go to every year," Andrew adds. "I would cry when I had to leave." Since meeting at camp, Andrew and Todd kept in touch and have been friends for over 30 years—twice as long as Andrew has been married to his wife Amanda! Todd tells us, "We were the Best Man at each others' weddings." The pair spend every other weekend together. They are huge sports fans and season ticket holders with Hamilton Tiger-Cats. It is hard to tell who is more excited for Andrew's rappel: Andrew himself or Todd. "Hopefully it can bring back some of the fun of Easter Seals Camp," gushes Todd. The Drop Zone events emulate the confidence-building and risk-taking activities that Easter Seals Camps offer, empowering children and youth who are living with disabilities/with diverse abilities to find out just how unstoppABLETM they are. The confidence and friendships that Andrew built at Easter Seals Lakewood Camp have stayed with him forever. 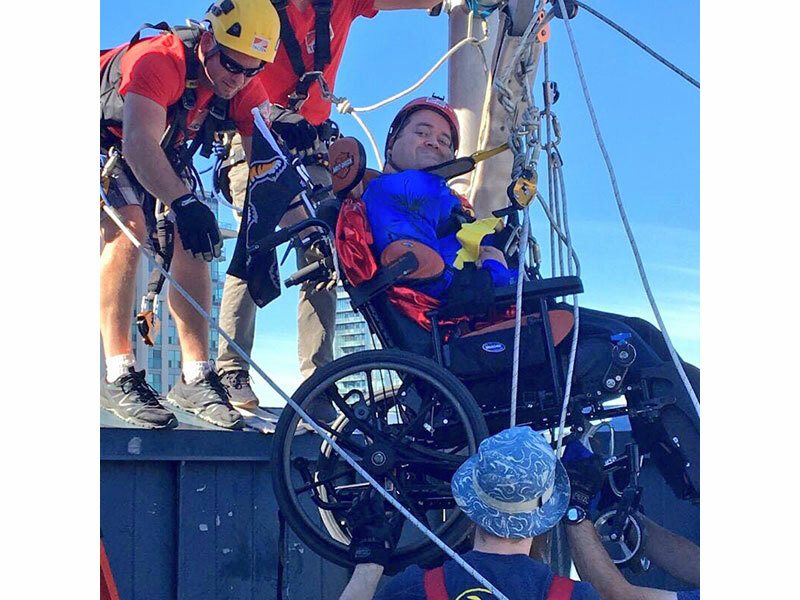 "I went to Easter Seals Camp as a child and want to help children of this new generation experience camp as well," Andrew explains his reasoning for braving the Drop Zone event in downtown Toronto. "This is my way to support Easter Seals." Andrew is currently writing a motivational book, and shares stories about his life-long friends and memories at Easter Seals camp. For more information about Easter Seals' programs and services including the Access 2 Card program, visit Easter Seals' website at www.easterseals.ca.